GranuFlo is an acid concentrate used during hemodialysis treatment to neutralize the buildup of acid in the blood. GranuFlo is known as a dry acid. In March of 2012, the FDA issued a Class 1 recall of this treatment based on reports of serious side effects and death. If you have undergone dialysis treatment in the last few years, request a copy of your medical records to determine if this particular drug was used during your treatment. 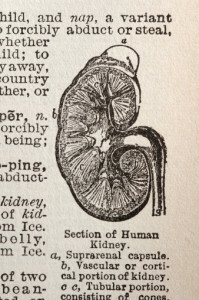 GranuFlo was designed for use during kidney dialysis treatments. It is diluted with purified water and then combined with sodium bicarbonate to assist with the replication of kidney function. GranuFlo contains both acetic acid and sodium acetate. The sodium acetate is converted by the patient’s tissues and liver into bicarbonate. Unfortunately, one of the problems associated with GranuFlo is that overdosing is relatively easy to do. The patient’s bicarbonate levels can be inflated incorrectly, even doubling the amount recommended in the prescription. Inherently, the drug is not extremely dangerous, but the fact that it can cause such serious complications when improperly mixed makes GranuFlo extremely risky. Fresenius Medical Care is the manufacturer for GranuFlo and many of the other treatments and machines associated with kidney dialysis. The manufacturers also own a kidney dialysis clinic. In 2011, the company issued an internal memo to the clinics under their management about the risks associated with GranuFlo. The company did not make this a public memo, warning the numerous physicians and patients working with the drug about the complications and risks associated. The memo referenced a total of 941 patients experiencing cardiac arrest immediately following the treatment (many of these patients suffered cardiac arrest still at the dialysis facility). Furthermore, the memo articulated that patients in dialysis treatment with GranuFlo (and their other product, NutraLyte) were six times more likely to suffer a heart attack or cardiac death. This memo was later leaked, leading the FDA to issue the recall notification. There are many negative side effects of using this treatment. They include low blood pressure, heart problems, stroke, cardiac arrest, and heart attack. Patients who have been involved in treatment with GranuFlo should speak to their personal physician about their lab levels and any negative changes in their physical health. Those patients or loved ones of patients who have witnessed heart attack and cardiac arrest should consider whether this occurred as a result of GranuFlo. Stroke and metabolic alkalosis were also reported by some patients mentioned in the memo. As a patient or a loved one of a patient, you have the right to safe medical treatment. GranuFlo’s manufacturers attempted to conceal the true danger of their drug, which is not in the best interests of the physicians administering treatment or the patients receiving dialysis.